Today I have the pleasure of speaking with Nili Yelin, A.K.A. the Storybook Mom. A Wilmette resident and NU graduate, Nili is known throughout the Chicagoland area for her interactive style of storytelling and ability to communicate her passion for literature to her listeners. She has an extensive background in performing and developing her own material. I first became acquainted with Nili when she accepted my request to entertain at the opening of the Little Free Library in Highland Park. We bonded over our shared love of books, kids and literacy. Animated, enthusiastic and engaging, she brings stories to life, mesmerizing both mini-bookworms and reluctant readers. 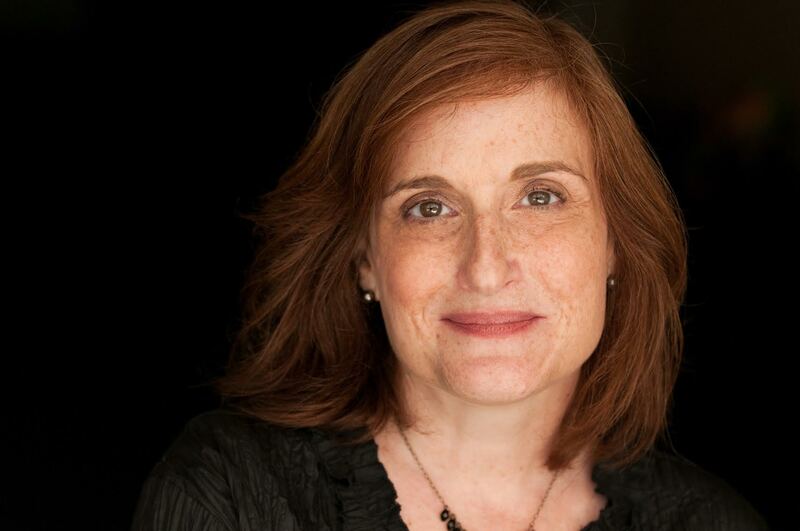 Some of her many activities include recording podcasts for the Field Museum, running the children’s stage at the Chicago Tribune’s Printers Row Lit Fest and serving as Chicago Ambassador for Lit World’s World Read Aloud Day. How long have you been the Storybook Mom? I became The Storybook Mom at “the turn of the century,” in August of 2000. What was your path to becoming the Storybook Mom? One thing really led to another, in my case. Armed with my degree in Theatre from Northwestern, I went to New York where I worked as an actress and stand-up comedian for several years. After getting married, moving back to the Midwest and becoming a mom, I began doing voice-overs for commercials, some film and other on-camera work. 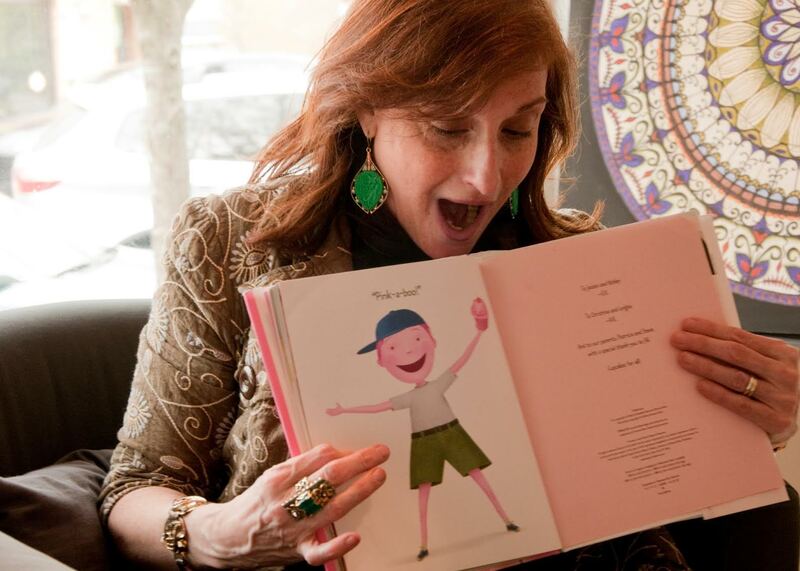 Eventually, I was asked to read in my children’s schools and then was hired to be the opening day “storyteller” for a new children’s store called Peanut Butter and Jelly. 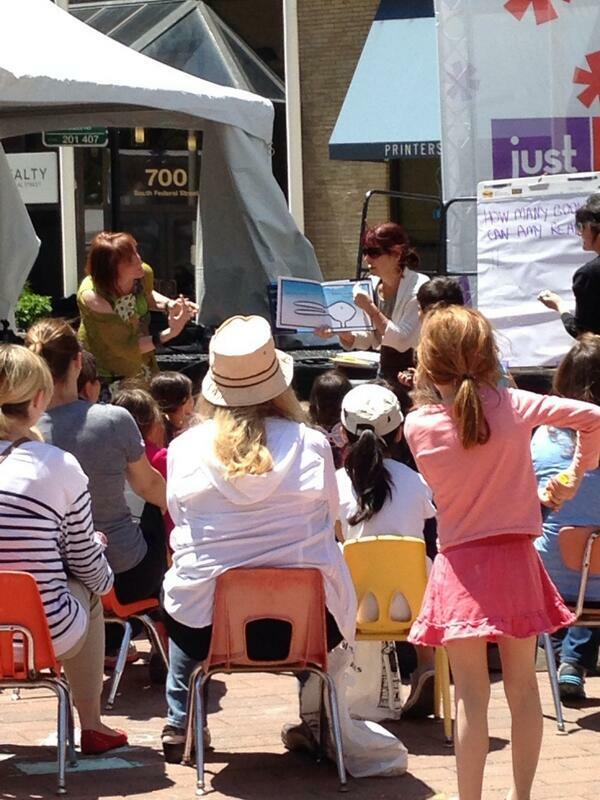 My performance was a big hit and the owner asked me to do a weekly storytime. 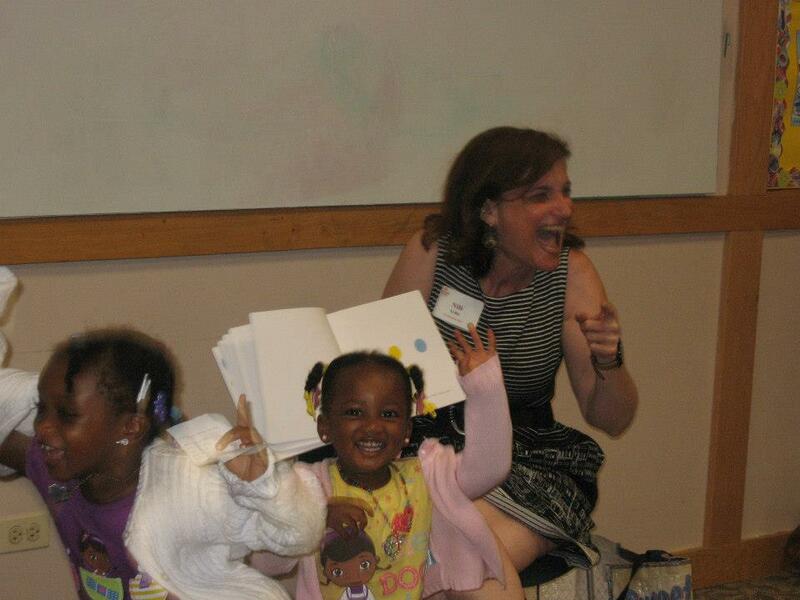 What really launched my career as a storyteller was the mom network and meeting people from Chicago Parent Magazine, The Botanic Gardens, The Field Museum and The Chicago Tribune. What is the most satisfying part of performing for children? Kids have no hidden agenda, so they are totally honest—I know immediately what connects when I tell a story and what resonates in their world and minds and hearts. I get a lot of hugs and kisses…that is the best part of my work. They make my day every day! How do you meet the challenge of keeping the children’s attention as well as that of the parents/caregivers? When I tell a story I get “in the zone,” and I have a passion and desire to respect the written word of the author and share the artwork of the illustrator in a way that translates to my audience. I love to improvise and work with whatever is going on in the moment and infuse humor into each storytime, so that it works on both the kid and grown-up level. I think—secretly—that I am still four-years-old in my outlook on life; it’s a purity and curiosity I can channel when I am immersed in telling stories. Can you offer parents and grandparents some tips for improving our read-aloud skills? Be silly, don’t critique your reading or performance skills, give yourself permission to be free and look at the story through the eyes of your child or grandchild. They will see everything with fresh eyes— discover along with them and share their joy. What are some of your favorite books to dramatize? I love everything by Mo Willems—the Pigeon series, Knuffle Bunny, Leonardo, the Terrible Monster, the Elephant and Piggie books—also everything by Amy Krouse Rosenthal—Little Pea is one of my all time faves, Duck! Rabbit!, Bedtime for Mommy, and my new love is Pete The Cat and His Groovy Buttons by James Dean (I am bringing Peace and Love, Groovy and Flower Power back….). I know that promoting literacy is important to you. How are you involved? I work with some outstanding literacy organizations such as Lit World, which promotes literacy globally, as well as a great program called Terrific Tales, where I work with families in Chicago’s West Englewood neighborhood. In addition, I am involved with Gilda’s Club Chicago, as well as the after-school programming sponsored by the Mayor’s Office, where I have gone into homeless and domestic violence shelters and taught storytelling and literacy skills to families. Where can we see you perform over the next few weeks? I do a morning storytime daily all over Chicago and the suburbs at various venues, including Little Threads (Roscoe Village), Kookaburra Play Cafe, Monica + Andy (Lincoln Park). 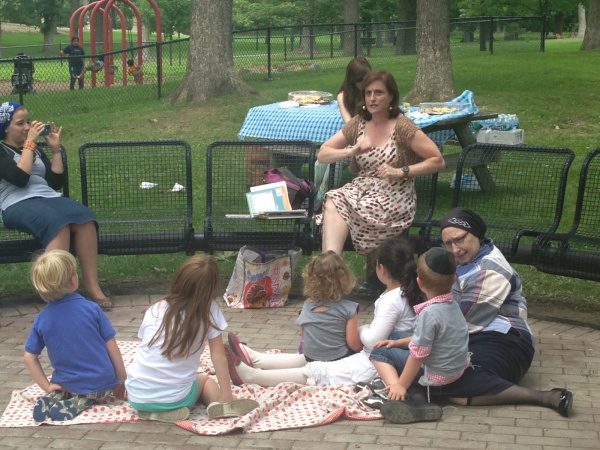 Every Friday at 11 a.m., you can join me for storytelling—outdoors in the Square, weather permitting— at the Book Cellar (Lincoln Square) and at The Book Market in The Glen Town Center (Glenview) on the first Thursday of each month. I perform at various festivals—upcoming is the Apple Fest in Lincoln Square on Saturday, September 20th at 11am. I do special events with Macy’s all over, as well as the Field Museum, The Shedd Aquarium-—you can practically trip over me!! 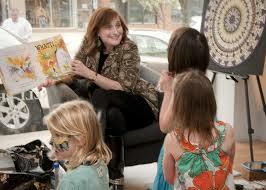 The best way to see where I am is to visit my website www.storybookmom.com or Facebook/The Storybook Mom. What a wonderful job she has! Yes, and she does love it!